The Kenya boxing team is gearing up for a major fight when the African championship get underway in Morocco this weekend. 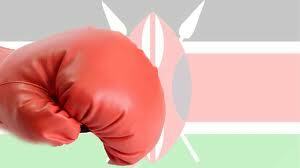 Kenya will be sending strong cast of 13 boxers; 10 men and three ladies with eyes trained on the world championship to take place in Doha, Qatar in October. The team under the leadership of coach George ‘Foreman’ Onyango have been working hard at the Mathare Depot and speaking to michezoafrika, Onyango said that hard work will be key. The Kenyan squad of composed of marquee boxers among them Rayton Okwiri, Nickson Abaka and Benson Gicharu– all of whom are Aiba Pro boxers. The team is set to depart on Friday.